The combination of battery cells is known as a battery set or battery pack. These are used as power source to many electronic gadgets. In early days these battery packs were very expensive and unreliable, but these days due to technological development the battery packs are available at low prices and are reliable in nature. Due to this nature, these modern batteries are replacing the disposable batteries. The battery packs under normal conditions are used in personal computers, cellular phones, digital cameras and other electronic gadgets which are in need of high input power for their operation. Most of the consumers use these devices; the steps involving in charging a battery pack are given below. The first step is to define the battery pack. For this we have to remove the battery from the device and have to analyze whether it is possible to recharge it. Batteries such as AA, C, D have a label that say these batteries are rechargeable. The batteries of laptop and other devices like digital camera do not have this mark since these are meant to be recharged. The next step is to find the suitable charger for the battery pack. After confirming the fact that the batteries can be charged we must find the suitable charger for that battery pack, and then we have to keep the batteries in the charger and plug them. We must ensure that we use the suitable voltage level when we use the charger. There should neither be a high voltage which would damage the entire equipment nor a low voltage which would result in a partial charging. The perfect period for charging a battery is that when it has one fourth of its charge in it, on the other hand if we charge after the entire charge is down it would result in damage of battery pack. The next step is to wait until the charge is complete. In most of the cases the manual specifies the time period up to which the battery has to be charged, based upon which we have to wait till the charge is complete. 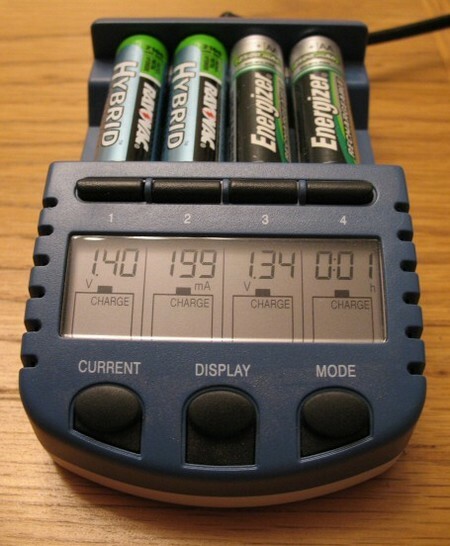 The full charge indicator for each type of battery is different; it would be clearly indicated in the manual. We also have to look up constantly the process of charging since there may be problems of overcharging or overheating, also it helps us to monitor the proper functioning of the charger. When the batteries are charged we have to unplug the charger and remove the batteries from the charger. The batteries must be put in their device and checked whether they work properly. The above said points are to be used while charging the batteries. We have to keep in mind that the batteries are to be handled with care and we have to ensure safety before charging them. It is advisable to read the manual thoroughly before removing and charging the battery pack.